To develop pioneering HSC CNC lathes with the extreme stability required for machining hardened steels. 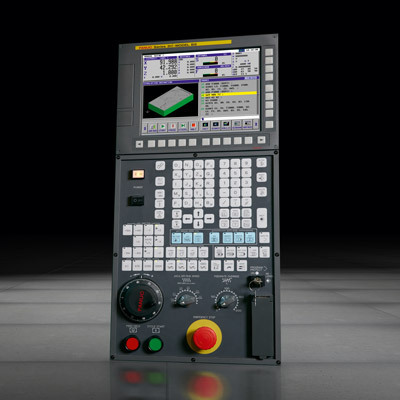 Utilising leading-edge tool materials and equipped with an impressive array of features, such as hydrostatic bearings and FANUC’s high-end CNC controllers and servo motors, Hembrug’s HSC CNC lathes deliver impeccable results with accuracy down to the nanometre. A competitive range of HSC CNC lathes equipped with state of the art FANUC components for outstanding performance and durability. Hard turning has established itself as an economical alternative to circular grinding. Hembrug, one of the pioneers of this technology, has now almost exclusively specialised in fast ultra-precision hard turning technology and offers machines up to work piece diameters of 1500 mm. FANUC, a partner on the drive and control side, equips these machines, depending upon specifications, with the CNC series 0i-D and 32i. Hembrug Machine Tools from the Dutch town of Haarlem is a former public enterprise, that was privatised in 1983. Originally involved in the field of ultra-precision turning machines, since the beginning of the 1990s, this family-owned company has focused on hard turning. "At that time, new tool materials were available for the first time that made the machining of hardened steels possible", recalls the Head of Design Bert de Veer. "In order to implement high quality, precise hard turning, we developed machines of a particularly high degree of stability, as the forces generated during hard turning are enormous, and precision in the micron range is otherwise unachievable." With many years of engineering experience in turning machines with hydrostatic bearings, Hembrug conquered the niche market of hard turning and developed the technology into a full-fledged alternative to circular grinding as a precision finishing process. In the meantime, the company can boast several examples of this. Bert de Veer mentions that the initial Hembrug hard turning machines were delivered to customers from tool making and mould making, where they were used for the production of PET bottles: "To this day, not only injection moulding tools for preforms are turned on our machines but also the moulds for closures, including threads. Via a tool turret with driven tools, even the small vent ducts are milled into them, so that complete finished tools can be removed from the machine." Additional applications can be found in the automobile industry (injection nozzles, gear wheels), bearing manufacturing (inner and outer raceways) as well as hydraulics and pneumatics (valves). The Hembrug Mikroturn machine series encompasses virtually wear-free, totally hydrostatic ultra precision hard turning machines that cover a wide spectrum of parts. The horizontal machines of the CNC 100 Series are suitable for small parts with bore holes from 1 mm. Vertical turning machines are available for large, heavy work pieces from 450 mm to 1500 mm in diameter. All Mikroturn machines have one thing in common, explains Bert de Veer: "They deliver the highest precision that currently be achieved with hard turning", and he backs up his statement with numbers: "With these machines, the following tolerances can be achieved on work pieces having hardness of up to 70 HRC and up to a diameter of 1500 mm: a surface accuracy of Ra = 0.0001 to 0.0004 mm, shape accuracies between 0.0002 and 0.001 mm as well as dimensional accuracy of 0.002 mm or smaller." With tolerances such as these, the Mikroturn machines are mainly competition to cylindrical grinders, to which they are superior in several other areas. Thus, in hard turning, the work piece does not require the clamping, which saves time and prevents clamping errors. Any number of contours can be created with just one tool – expensive grinding discs are unnecessary. What's more, hard turning is an eco-friendly process, which is performed in a dry condition in many cases. Grinding always creates sludge which requires costly waste removal. On balance, hard turning achieves higher productivity in many machining scenarios. Compared to other hard turning machines, Hembrug machines stand out due to their high long-term accuracy. The main reasons for this are the hydrostatic bearings for the spindle and guide way units. They achieve run-out and repeatability accuracies of 0.1 microns – and they do so with long-term consistency, as Bert de Veer states: "Machines without hydrostatic bearings achieve these ratings only in a new condition. Our machines can offer this quality even after 20 to 30 years." For many years now, Hembrug has been working on the drive and control side with the CNC world market leader FANUC. Peter van Ommeren, Head of Electrical Design, reports: "We used to deploy the FANUC Series 15-TB CNC. Today we use the Series 0i-D CNC systems for our standard Mikroturn machines. This control offers a resolution of 100 nm. For more sophisticated tasks, we have developed special Mikroturn machines that we can then equip with the FANUC Series 32i CNC. With the appropriate scales, it enables a resolution of 10 nm." In its production, Hembrug utilises several of its own machines that are controlled by the FANUC 0i-D CNC – "because this combination works wonderfully", explains Peter van Ommeren. "We keep hearing that again and again from our customers. There are virtually no control-related failures, not even over several years. The FANUC electronics, the motors and controls, are at the highest level of quality, and very robust, even towards electromagnetic influences. An additional positive feature of FANUC is the upward compatibility. This means that we put machines into operation in the 1990s with the 15-TB control. Now, nearly 20 years later, the programs can still be used on newer machines and the latest controls. Because amid all the innovations in additional functions, FANUC has retained the basic structure behind it. This facilitates implementation for us as machine manufacturers and saves our customers many a training course." "This combination works wonderfully, we keep hearing that again and again from our customers. There are virtually no control-related failures, not even over several years. The FANUC electronics, the motors and controls, are at the highest level of quality, and very robust, even towards electromagnetic influences". In the past few years, Hembrug has spearheaded several new developments that are not only high precision but also extremely productive. For instance, at the EMO 2011, the company introduced the Mikroturn Twin Spindle and the Mikroturn 100 CNC Special. The Mikroturn Twin Spindle is equipped with two fully hydrostatic spindles with integrated spindle motors, linear motors in X and Z slides, as well as an integrated, fully automatic feeding robot. In some cases, hard turning is by nature three times faster than comparable grinding operations, yet the twin spindle enables even more cycle time improvements of up to 30 percent and productivity boosts of up to 100 percent. The Mikroturn 100 CNC Special is a special version with a fully hydrostatic high-performance spindle with 2000 rpm, and integrated torque motor and extended stroke of the Z slide. Larger and heavier work pieces can be turned on it compared to the standard Mikroturn 100 CNC version. Bert de Veer sees in these developments an important step into the future: "For a long time, we were considered a world champion in precision, but we paid too little attention to productivity. All that has changed. In our new developments, the focus is on productivity, on the one hand, and on increased flexibility on the other hand, with respect to customer wishes. We are gladly willing to provide special solutions." As an example, he mentions a project in which different shafts for gear wheel pumps are processed. These are moved on a feeder conveyor to the machine, detected by an image-processing camera and inserted by robot. In this manner, the machine recognises the particular work piece and automatically chooses the appropriate CNC program. FANUC was involved in the new developments. Peter van Ommeren, Head of Electrical Design, elaborates: "For us, it was important for FANUC to facilitate the integration of third-party motors. For example, we use integrated spindle motors from third-party manufacturers. We had qualms about this in the beginning. But FANUC exhibited a great deal of openness, so that the motors were able to be controlled without any difficulty." Hembrug is currently involved in developing special user interfaces designed to facilitate user handling of the machine. 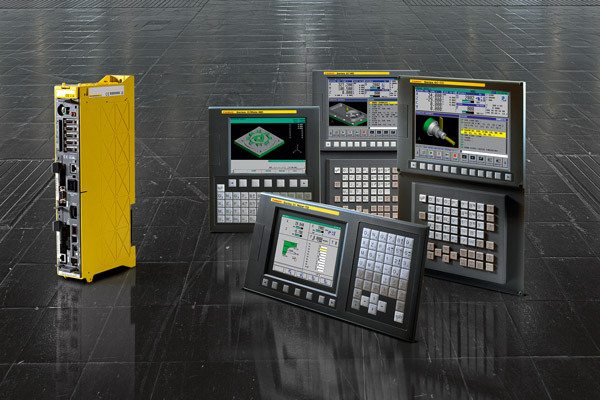 With FANUC Picture, a high performance development environment is available to enable us to design these user interfaces according to our wishes. The result is currently being tested in our own manufacturing facility on a Mikroturn with our 32i control, on which after the hardening process, the internal threads in large nuts are being recut. Electronics expert Peter van Ommeren is enthusiastic about the cooperation with FANUC: "Although compared to other machinery manufacturers, we have only produced relatively few turning machines, and thus accordingly only source a small quantity of FANUC controls, we received excellent and quick support from FANUC. Whenever we have questions, we have a direct point of contact, and that really works brilliantly." He illustrates this with an example: "A customer in the United States enquired about a customer specific project involving a sophisticated four-axis machine, with two tool supports and to tool changers. Not an easy task on the control and drive side, so we asked FANUC for support. Within a short time, a FANUC was here on the scene, with whom we were able to discuss the project. He specify the drives and a multichannel CNC from the Series 32i. That enabled us to immediately provide the customer with the requested proposal." Established in 1973 as a government-owned company and privatised in 1983, over 95% of Hembrug's design and production today involves virtually wear-free, fully hydrostatic ultra high-precision hard turning machines. The Mikroturn machine series can machine work pieces with hardness ratings of up to 70 HRC and up to a diameter of 1500 mm. Hembrug has a staff of some 70 employees, who produce 25 to 30 machines per year. Annual sales in 2011 were approx. 15 million Euros.